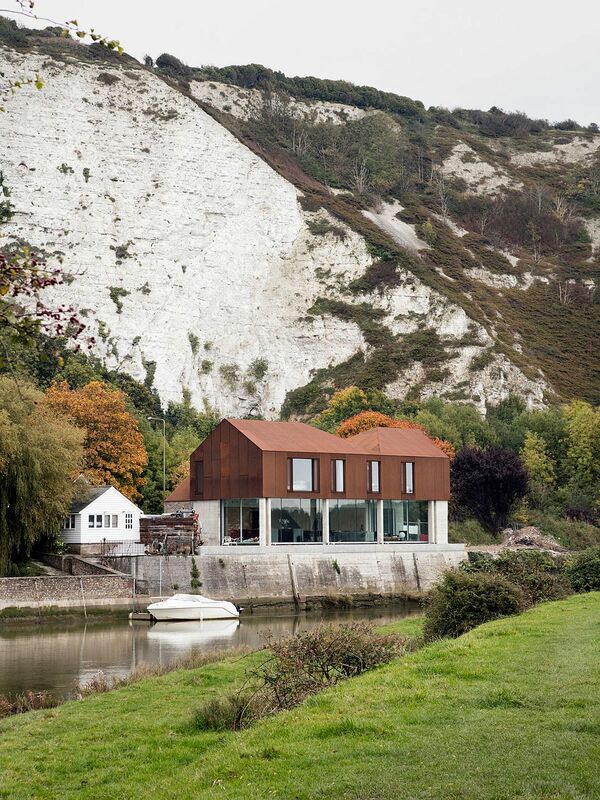 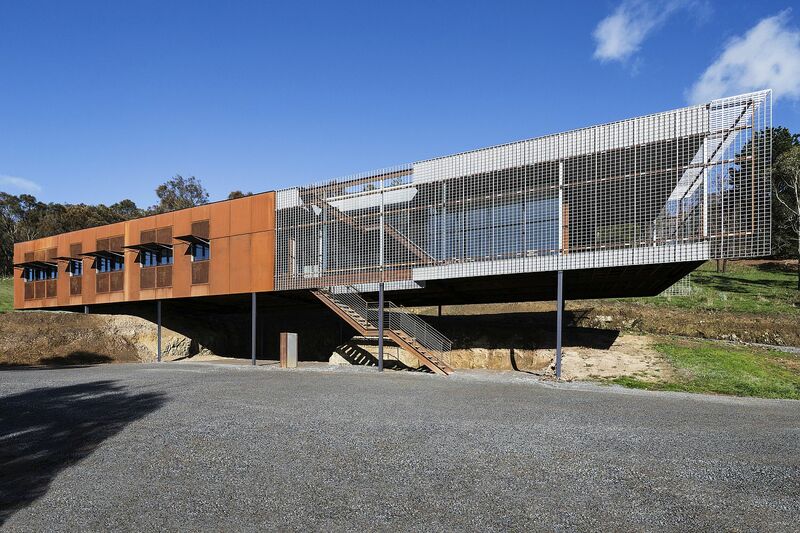 Awesome Cor-Ten Steel Clad Homes Weather All Styles and Storms! 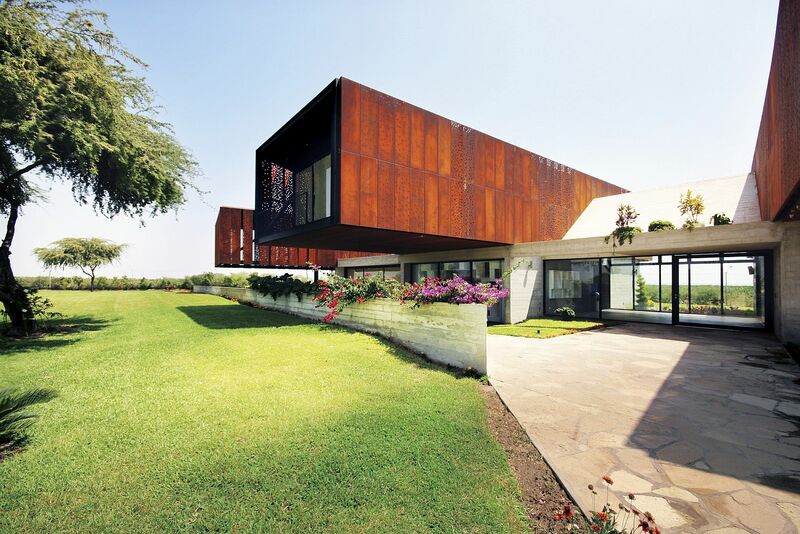 Few materials endure the test of time and rugged conditions like the brilliant and beautiful COR-TEN steel. 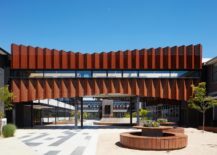 Referred to more commonly as Weathering Steel, the oxidized steel alloy does away with the necessity of paint and is perfect for low-maintenance surfaces and exteriors of buildings set in harsh climatic conditions. 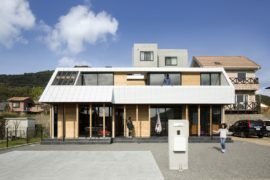 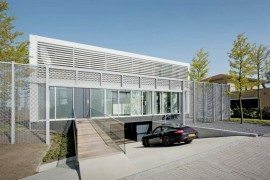 But in recent times we have seen homeowners embrace this material even for its aesthetic value as if gives the façade a striking and distinctive look. 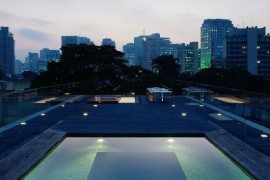 And it is not just a phenomenon relegated to just a few select regions of the planet alone. 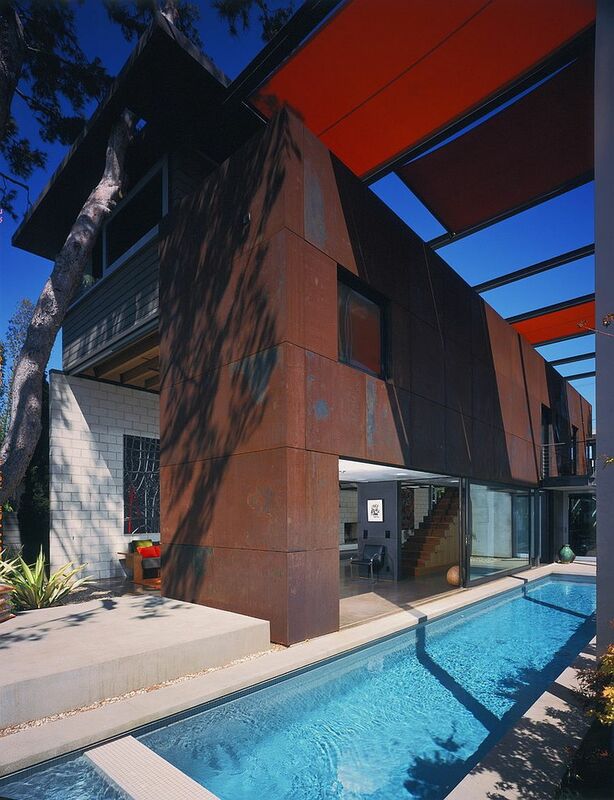 From Singapore to Sydney and Melbourne to New York, buildings wrapped in Cor-Ten steel can be found everywhere! 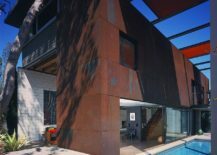 While painted copper has a look similar to Cor-Ten steel when viewed from a distance, the more brownish-orange patina is obvious for those taking a closer look. 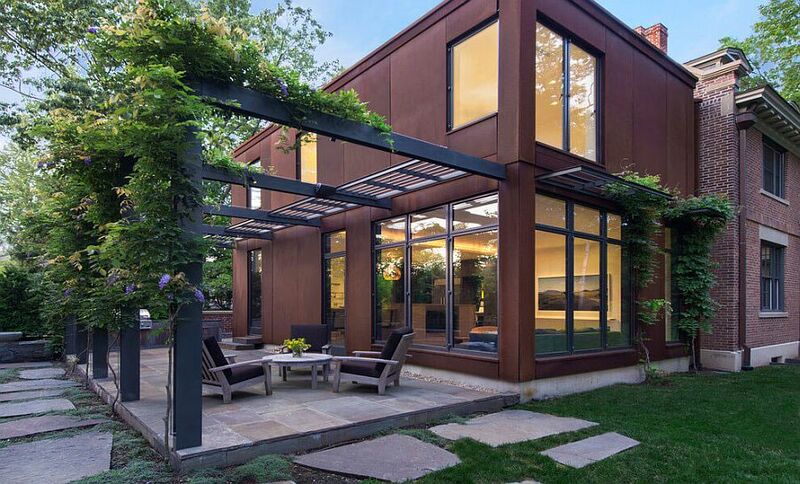 Cor-Ten steel clad buildings also have an undeniable touch of industrial style that makes them even trendier. 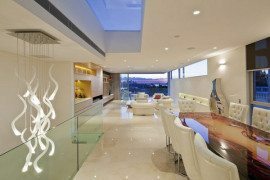 Yet, the material adapts to a variety of styles and settings and the gorgeous homes showcased below use it in the most charismatic and striking of fashions. 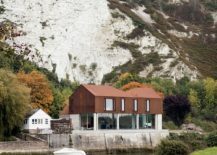 As we talked about it earlier, a building clad in Cor-Ten steel stands out from the crowd and is easily recognizable even from a distance. 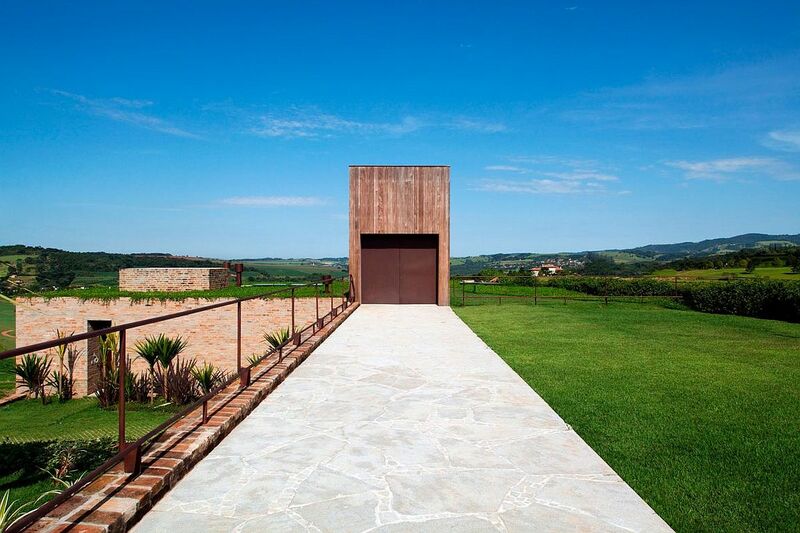 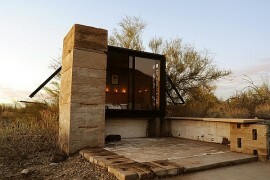 If the building is placed in an industrial or rugged, natural backdrop, then the effect is even more profound. 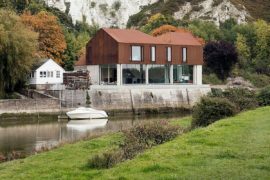 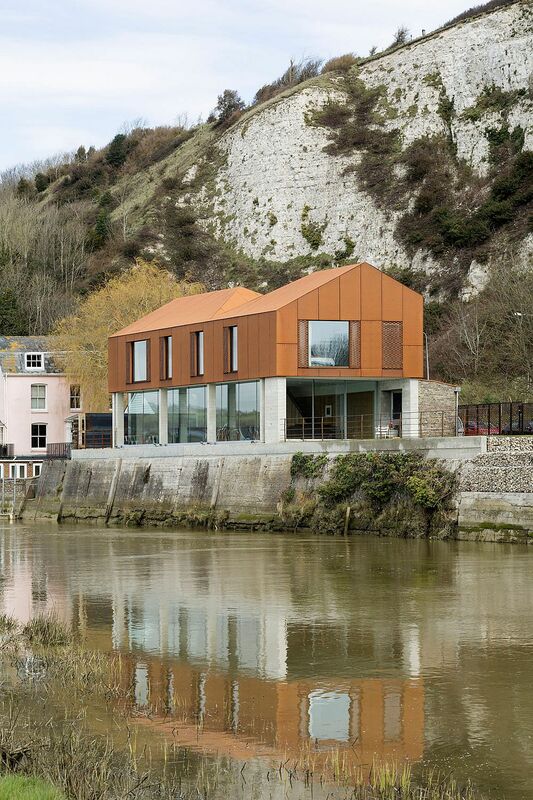 Corten clad surfaces are a preferred choice especially in holiday homes that are left unattended for large portions of time. 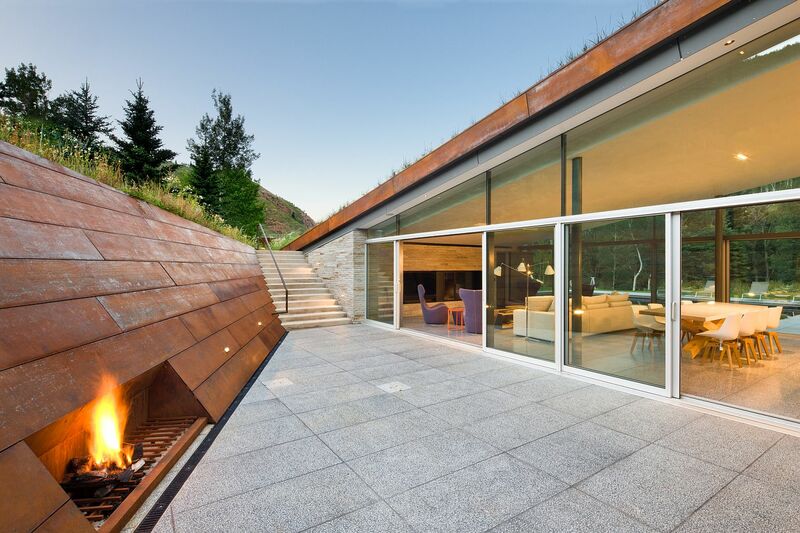 It is in the lush green forest and amidst the snow-clad slopes that these gorgeous vacation homes with weathering steel exterior show their true value and worth. 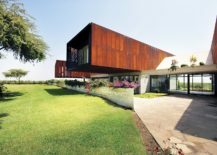 Using Cor-ten steel for surfaces inside the house is even more of a rarity as most homeowners really do not feel the need for such an all-weather material indoors. 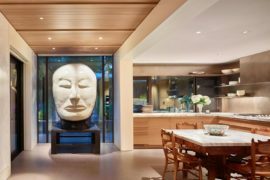 But there are occasions when weathering steel can be comfortably and elegantly used in spaces beyond the main façade of the home. 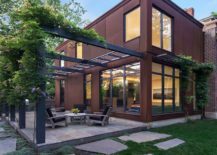 The rear yard and walls that surround a sunken outdoor lounge can be clad in this brown-orangey metal. 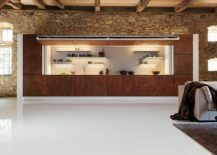 It can also be used as a fencing material and in an extremely rare case of artistic brilliance and beauty, the tough metal also found space inside a kitchen. 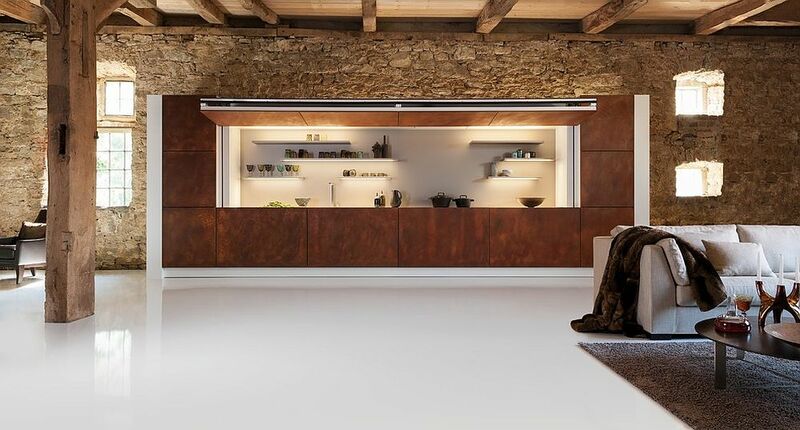 How you use Cor-Ten steel is all about your creativity and taste! 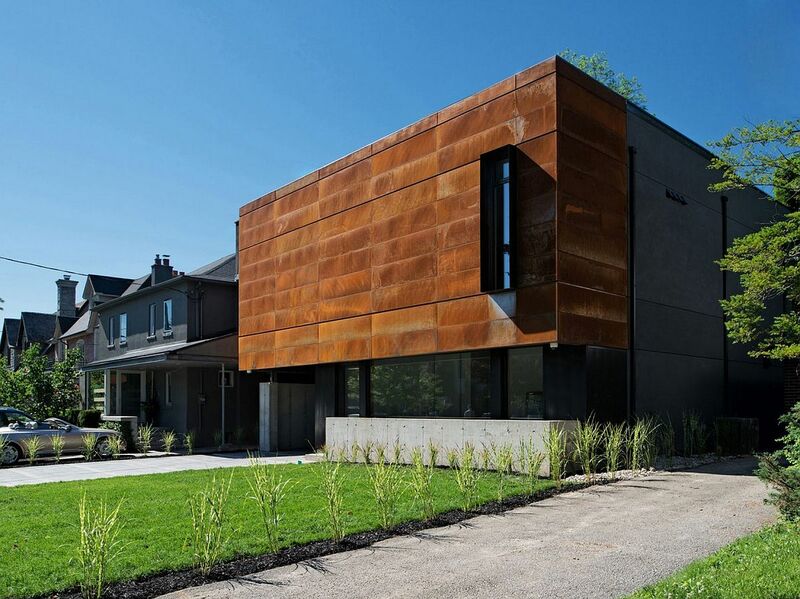 Beyond its obvious durability, Corten steel can adapt to various styles, finishes and motifs to give you the perfect, all-weather exterior. 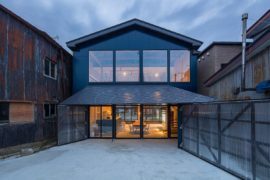 There are times when it can be used to craft a smart, rear extension to a heritage home while also using glass and stone to usher in modernity. 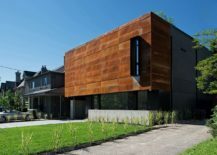 The reddish patina of weathering steel allows it to seamlessly blend in with old brick walls and gives the home a sense of continuity. 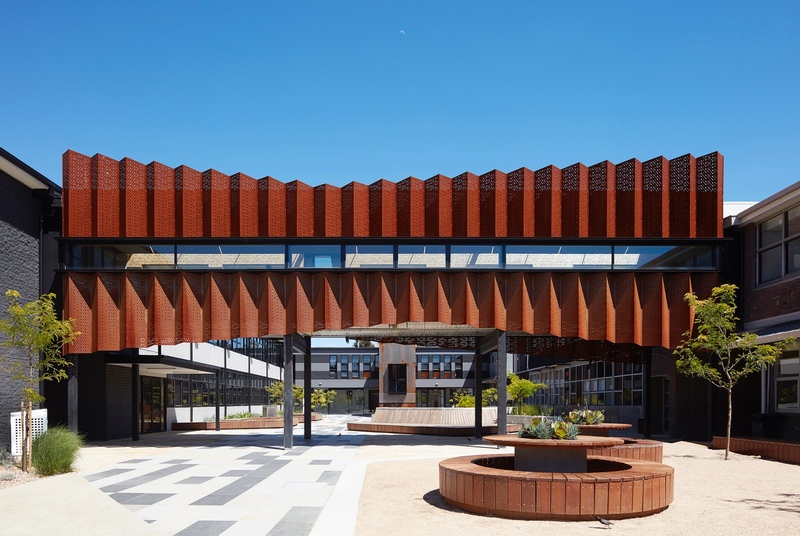 On other occasions, a contrasting approach by combining concrete with Cor-Ten steel brings industrial flavor to the building.